I forgot to add all of these pictures to the other zoo post. This is an animal riddle book I have made with my class. I will look for the book pages today and post them tonight. A lot of people have asked me to share my zoo ideas.... so here they are. I have been looking for science ideas for my first grade teachers for next six weeks. They will be teaching about plants, plant parts, living and non-living, and interdependence. The following downloads are the best ideas I found during my search. If anyone has things they do in their classroom to teach these concepts, please leave a comment and share it with us all. Be sure to check out the power points I found in the interdependence unit. There are some really good ones there to use in teaching the concept of animal adaptations. Here are a few more living and non-living ideas I found after I made the other unit. Here are the ways I teach living and non-living in my classroom. Here are a few ideas I found for teaching lessons on how we grow. 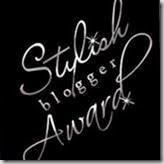 Thanks so much Mrs. Saoud from Saoud's Second Graders for awarding me the Stylish Blogger Award. That was SUPER SWEET of YOU!! 1. I am a Starbucks snob. I love coffee, but only from Starbucks!! 2. I am a doc student at the University of North Texas. After this semester, I will only have one course, comps, and my dissertation left to do. Woohoo!! 3. I would love to blog for a living. 4. I love Pat Green! I am a CMT junkie. 5. My favorite pastime is going to the movies. My favorite romantic comedy is You’ve Got Mail. 6. I am a CLEAN FREAK!! 7. I love to eat at P.F. Changs. This leprechaun addition idea came from Kim Jordano. I thought I would share my patterns. Here are my favorite ways to celebrate Dr. Seuss' Birthday. Thanks to Brooke Perry, Catherine Wood, and Jonelle Bell for sharing a few good ideas with me! Thanks again to all of you who entered and to Deanna for offering such a great giveaway!! Deanna will use your emails to contact you shortly about claiming your GRAND prize!! I love all of Heidi's products! They have been instrumental in helping my kids learn letters and sounds. It seems to me that young children can learn anything through music and song. Her sight word CD's are my absolute FAVORITE!! If you do not have them already.... YOU NEED THEM. When my students are writing and reading and they have trouble with a word wall word, they break into song and it helps them figure it out and write the word or read it. Through the posts to Deanna's big giveaway, I discovered Heidi's Sounds Fun- Phonics Flash Cards. These cards look like a definite must for kinder and first grade classrooms- especially for this time of year! There are 25 cards in the set covering 25 different letter combinations and diagraphs. Go to Heidi's site to see sample cards in the set and to watch a short video of how they are used. The cards offer a visual for kids and they are able to respond to them physically and verbally- capturing all of the learning styles. What a great way to learn!! When your students get stumped on these letter combinations and diagraphs when they are reading and writing, they can just start through the motions and the sayings and figure the words out on their own. I love it!! Sink Your Teeth into This Great Unit! Whether you teach a unit on Dental Health or not.... you have to check out Brooke's latest unit Dental Health For Primary Learners. For $5.09, you get a 70 page unit packed with fun dental health activities that cover a multitude of concepts, so any of the lessons would be easy to integrate into your plans regardless of whether you are focusing on dental health or not. It contains a non-fiction book called "Whose Teeth are These? "( I absolutely LOVE this book! 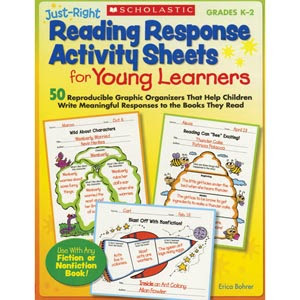 ), graphing activities, problem solving, an inference investigation, 2 class books (These are so cute too! ), an application to help the tooth fairy while she's on vacation, literature connections, media literacy-advertisement, and lots of great writing prompt ideas! The non-fiction text Brooke created even contains George Washington's teeth, so you could even connect the lessons to President's Day! We still have a couple of weeks left in February....so be sure to check out Kathleen Pedersen's newest addition to Teachers Pay Teachers- February Math and Literacy Centers Complete Set. Kathleen has compiled all of her February math and literacy center activities into one unit that you can purchase for 20% off of its original price. The unit contains 230 pages of math and literacy fun! This pack combines all of my activities for February for math and literacy centers. There are 230 pages with at least 8 math center activities, 5 sets of making words, and 6+ literacy center activities. You will have everything you need for the month of February! You will save 20% of the total price if you purchased each set individually. My favorite activities from the unit are Valentine Scrabble, the Monkey Love CVC and CCVC activity, the odd and even center and the heart measurement activities. Congratulations Pinks my Ink! You are the winner of the Word Explorer Unit giveaway!! Thanks to all of you who entered and thanks to Deedee for offering the giveaway. Be sure to check out the rest of Deedee's products at TPT through my TPT links to the right. Pinks my Ink email me so I can send you your unit. Don't forget the Word Explorer Unit giveaway ends tonight at midnight. If you have not entered to win, there is still time. On the right side bar of my blog, look under the posts archive and find the one titled Word Explorer Unit giveaway. Follow the directions in the post to enter. The winner will be announced tomorrow. Here is a subtraction lesson Brooke shared with me when we taught together. 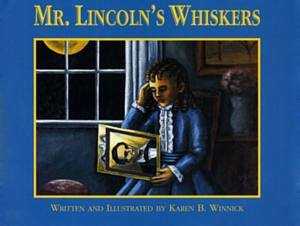 We read the book, Mr. Lincoln's Whiskers and then we graphed if we thought Abe looked best with a beard or without a beard. Here are the patterns for my valentine bags. I do not have one for the rabbit. Congratulations Deanna Jump for reaching 1,000 followers on TPT and for your HUGE success in sales!! To celebrate her success, Deanna has offered a HUGE giveaway for me to host!! Deanna is giving away her entire store and ALL of the future products that she creates to 2 lucky winners! She is currently working on a Reading 101 packet that is full of reading activities and strategies and she just posted a brand new unit- America Math and Literacy Fun! 1) Become a follower of Deanna's blog and Chalk Talk. 2) Become a follower of Deanna's TPT store. 3) Make a comment below telling about your favorite reading strategy that you use during your Guided Reading time. 4) Leave your email address in your comment. The giveaway ends Sunday, February 13th at midnight. The winners will be chosen through a random drawing and announced on Monday, February 14th. Good luck to all of you and congrats again Deanna for your HUGE success!! Kudos to Rachelle and Natalie from "What the Teacher Wants" for sharing their bucket filling idea with us all. What a great way to teach your students how to be "bucket fillers" and not "bucket dippers". Go to their recent post Are You a Bucket Filler? to see all of the details and for downloads for use in your classroom. What a great way to promote character!! 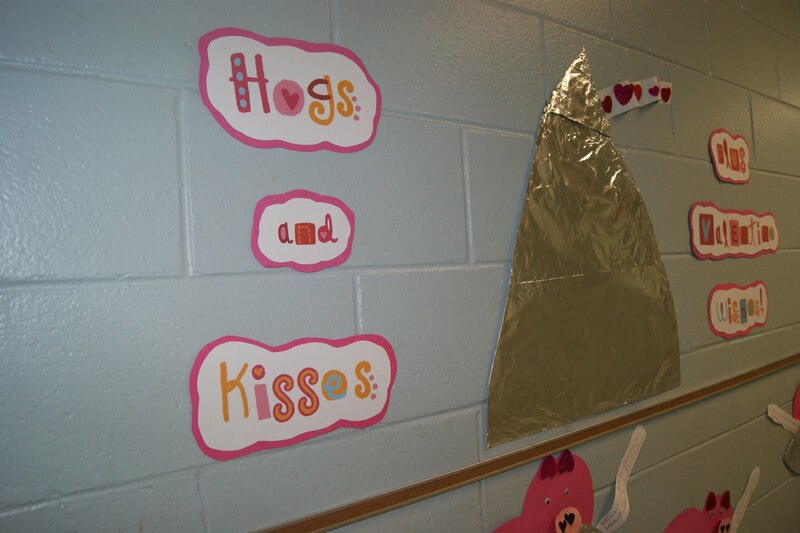 Heather Melton just sent me pictures of this SUPER CUTE valentine bulletin board she made. I love it and had to share!! Thanks Amy for making this great post on your blog! We are so excited here in Texas too! 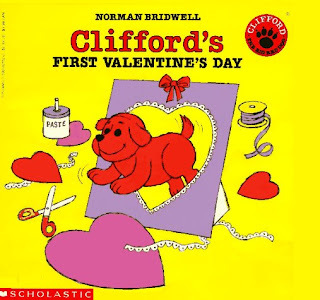 I will be overnighting your special valentines tomorrow. This CRAZY Texas weather kept us all inside our homes last week..... no school, no places open, and no way to drive on the roads. 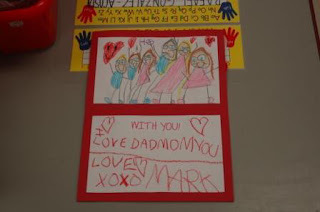 We are super excited about a special Valentine’s Day project that we have been working on. Thanks to help from April at Chalk Talk we are exchanging Valentines with another kindergarten class ..... from Grand Prairie, Texas! My class is beyond excited about their new pen pals from Mrs. Ray's class. We located their city and state on our large classroom map and then used Google Earth to zoom into their school and neighborhood. Pretty amazing! We are also sending them a cool book about Cincinnati, Ohio so they can learn more about where we live and compare it to their own town. 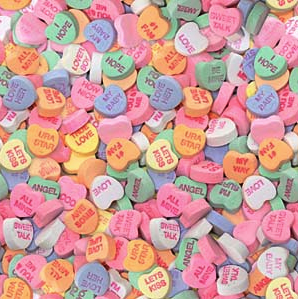 And what is Valentine's Day without sweethearts? My students are anxious to receive their Valentines from Mrs. Ray’s class. They are all super excited about the opportunity to see and chat with their new friends via Skype next week. 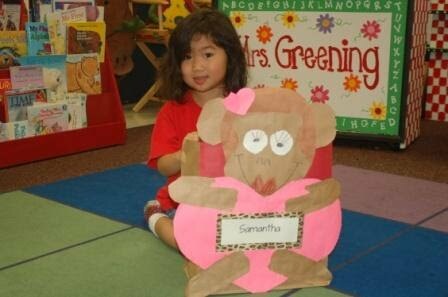 "We hope you like your Valentines, treats, and book. We can't wait to Skype with you next week! P.S. Do you have Skyline Chili in Texas?" America Math and Literacy Fun! Even if you are not planning to spend much time teaching about President's day, you should check out Deanna's America unit. This unit is great for a 2 week study on presidents and the United States. Deanna lays out her plan for teaching students all about the United States, its important symbols, presidents, and the Constitution. My favorite lesson is the Statue of Liberty measurement activity. I love lessons in measurement that allow students to see the true size of something very large. The lesson puts the size of the Statue of Liberty into a context where students can understand its massive size without actually being there to see it. The unit also includes several original books written by Deanna, suggested books for the study, directional art activities, thinking maps, writing prompts, and literacy games. As usual, you won't be disappointed with your purchase from Deanna! My oldest daughter turned 18 this weekend and is headed to UT in the fall to become a Texas Longhorn. Madison and I don't look anything alike... do we?? Be sure to check out Babbling Abby's new teacher blog The Inspired Apple. I love her Mystery Box inferencing activity. What a great way for students to practice their inferencing skills. You can purchase it at Teachers Pay Teachers. When you check out Babbling Abby's Teachers Pay Teachers store, be sure to take a look at her Clipboard Classroom Activities (this is great for use with literacy stations and the Daily 5) and her Inferencing Investigations. 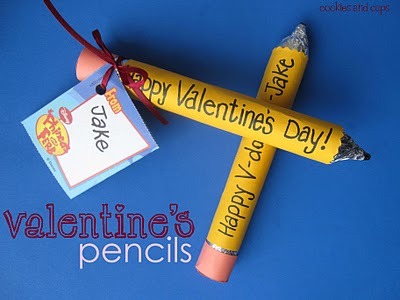 How cute are these valentine pencils? Go to Cookies and Cups to find step by step directions for how to make them. I love Kathleen's newest unit on Teachers Pay Teachers. 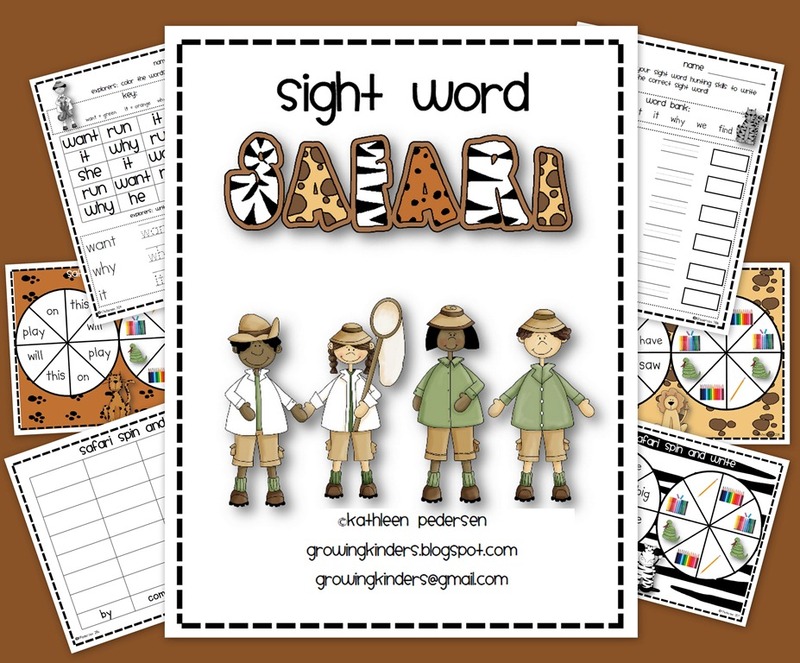 It is Sight Word Safari. 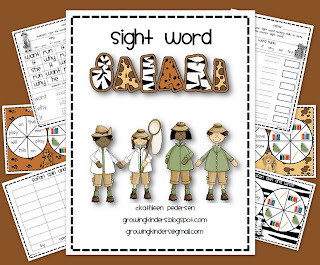 The unit will take your students on an exciting sight word safari! The unit includes three types of activities: Sight word find/color/write, Sight words in letter boxes, and Sight Word Spin and Write. There are 48 sight words included in the packet. It is great for literacy work stations or the Daily 5! You can check out Kathleen's blog post about the unit at Wanna Go on a Safari? or you can purchase the unit from Teachers Pay Teachers. Don't miss Brooke's "14 Days of Love" posts! Beginning February 1st and going through Valentine's Day, Brooke is posting LOTS of freebies, printables, giveaways, tips, and more! Check it out at Primary Perspective. I love Mo Willems!! Look what he has coming!! YES!! It is Pigeon bands!! Go to Mo's blog to read more about them! What a great addition to anyone's treasure box or a fun way to end an author study on Mo! Be sure to check out the newest Elephant and Piggie books while you are on Mo's blog! If your class writes Mo, he will write back and send some goodies with his letter. I am loving all this bad weather because I am getting to catch up on everyone's blog and find tons of new ones!! This morning, I found Erica Bohrer's first grade blog. I love her penguin alliteration activity based on the book Sarah Cooley introduced us all to- Pink! by Lynne Richards. Also, Erica has a cute free download on Teachers Pay Teachers for a penguin word problem addition and art activity. Erica also has a book for sale by Scholastic. It is called Just Right Reading Response Activity Sheets for Young Learners. You can look at the book and purchase it from Amazon. I just found these two super cute ideas from Pam Greening's Overall Success website. I made frogs, bears, and rabbits with my kids, but Pam made monkeys. Aren't they so cute!! Here are bags from my class last year. 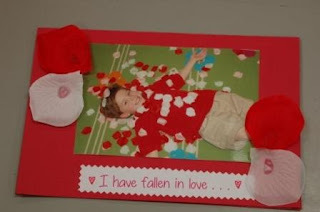 I love this valentine card idea!! I would like to add a section to my sidebar that has everyone's Teachers Pay Teachers store link on it. This way it will be easy for me as well as others to go directly to everyone's store and see everything they have posted. If you have products for sale on Teachers Pay Teachers, please post your name and the link to your store below. Happy shopping everyone!! I found several new blogs to add to my blog roll today. I wanted to make sure you knew about them all!! 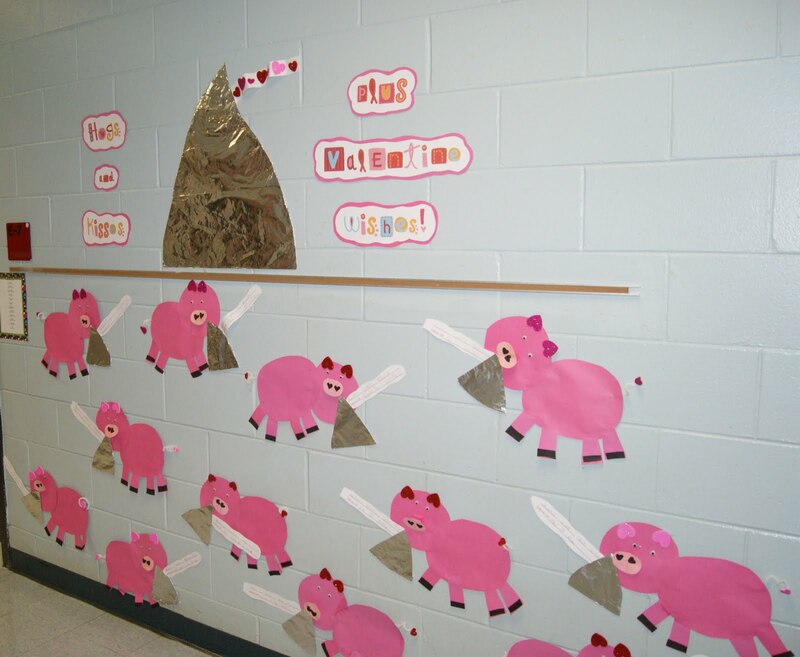 Mrs. Wills Kindergarten - Be sure to check out Deedee's January posts. She has lots of great ideas and downloads for centers. 1) go to Deedee's blog and become a follower. 2) Follow Deedee on Teachers Pay Teachers. 3) Then make a comment below on a way to engage students in word work. The giveaway ends Friday, February 11th at midnight. The winner will be chosen in a random drawing and announced on Saturday, February 12th. Good luck everyone!! Brooke also made a post in her 14 days of love that has a "Proud to be an American activity with it- Patriotic Cupcakes and writing activity. Deanna's unit on Teachers Pay Teachers. Fabulous in First Grade Proud to Be an American Unit on Teachers Pay Teachers. First Grade Teaching President's Day Book. Miss Knight's Chronicles Race to 100 President Game. If you have created free downloads or posted something on Teachers Pay Teachers for President's Day, comment below so we can check out your resources. 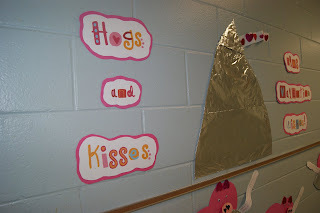 I love clever ways to help students make connections so that they can remember sounds letters and chunks make. I found this idea from Sarah Cooley and I LOVE IT!! Sarah had a quints baby shower with her students to teach them the "qu" sound. Check out all of the pictures and fun activities for helping her students learn the "qu" sound at "QU" Quints Baby Shower. Also, check out her Super /ir/ /er/ /ur/ girl at Frist Grader...at Last!. I absolutely love this idea!! I used to incorporate food into my lessons all the time, so this activity is perfect for me! 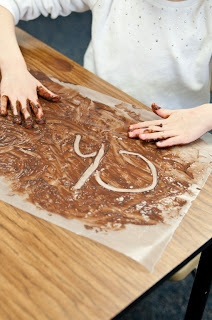 Go to The First Grade Parade to see how to use chocolate pudding to work with "ch" words. 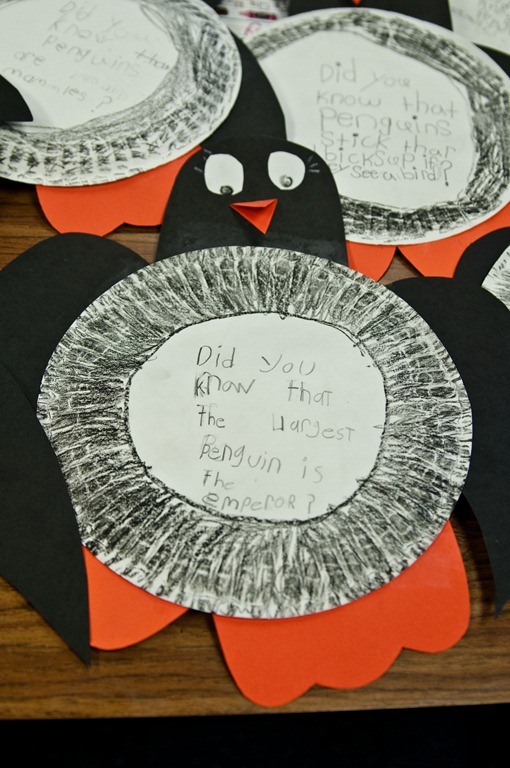 I also, love the paper plate penguins with facts written in the form of a question on them. What a great way to work on teaching students how to ask good questions. How Many Ice Cream Scoops Tall Are You? I love this idea from First Grade Fun! How many ice cream scoops tall are you? 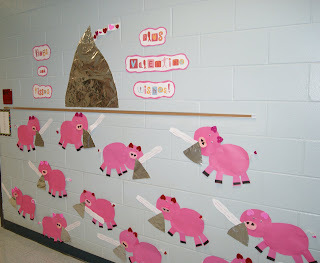 Go to Ms. Van Orman's Measurement post to check it out! Fabulous in First has a few great ideas I would like to highlight this week. Shelley had her students write by the fire. Go to www.blazinglogs.com. The fire actually crackles and looks real. What a fun idea and a great prompt for writing. Another great idea from Fabulous from First is Snowy Day verb writing. Students made a flip book showing verbs from the book The Snowy Day. Also, check out the fun non-standard measurement activity. All of these ideas can be found on the post Measurement and More. For some cute math valentine activities, go to What the Teacher Wants and download them for free. The activities include counting, patterning, money, graphing, place value, and many other math concepts.